Input masks are special group of characters that can be used in the InputMask Property of data fields to make data entry work easier in Microsoft Access. You can use them on Forms too. Keyed-in Text Value changes into upper case automatically or inserts slash (/) characters or other valid characters in Date Format separating Day, Month and Year segments or inserts hyphen (-) characters in Telephone Numbers separating Country Code, Area Code and Telephone Number and so on. When large volume of information is fed into the System manually this kind of support in data entry process goes a long way in making the work easier to the User, besides maintaining/displaying the data in a standard format. The key strokes that you will make to key-in the telephone number is +914792416637 but the value will be automatically positioned in appropriate places guided by the Input mask as (+91) 479-2416637. You don't need to key-in the brackets, space or hyphen in between separating Country Code, Area Code and Telephone Number. The Inputmask Property Value is expressed in three segments separated by semi-colon. The first segment value is the Input mask itself: (###) ###-#######. The second segment value is 0 or 1. If the value is 1 then the separation characters (brackets, space and hyphen) are stored with the data in the field as (+91) 479-2416637 (the field size must be big enough to store all the characters). If the value is 0 then the keyed-in data alone is stored in the field as +914792416637 and the Input Mask is used for displaying the value only. The third segment value (the underscore character in our above example) is used for filling the empty positions with underscore characters showing the data entry field size. When the Input mask character is # in all required character positions; you are allowed to enter Digits, Spaces, Plus or Minus symbols only into the field or you may leave the entire field empty. Input mask character 9 works in a similar way but it will not allow the usage of Plus or Minus symbols into the data field. Input mask character 0 allows to enter the digits 0 to 9 only and cannot enter Plus or Minus symbols. In the Day and Month positions you are allowed to enter a Space but in the Year position all four digits must be entered because the 0 input mask will not allow Spaces and cannot leave that area empty. But, you can leave the Date Field totally empty. Allowed to enter any Character or Space or you can leave the data field blank. The Text Value entered will be converted into Upper Case and you don't need to bother about the CAPS-LOCK settings. If you use the word Password as Input Mask Value then whatever data you enter into the field will appear as a series of * characters and the actual value entered is not shown. The list of Input Mask characters and their usage descriptions are given below. 0            Digit (0 to 9, entry required, plus [+] and minus [-] signs not allowed). 9            Digit or space (entry not required, plus and minus signs not allowed). #            Digit or space (entry not required; spaces are displayed as blanks while in Edit mode, but blanks are removed when data is saved; plus and minus signs allowed). L            Letter (A to Z, entry required).
? Letter (A to Z, entry optional). A            Letter or digit (entry required). a            Letter or digit (entry optional). &            Any character or a space (entry required). 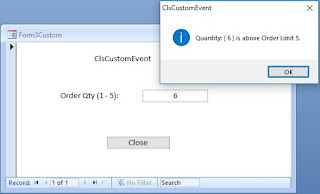 C            Any character or a space (entry optional).
. , : ; - /  Decimal placeholder and thousand, date, and time separators (separator: A character that separates units of text or numbers.). (The actual character used depends on the settings in the Regional Settings Properties dialog box in Windows Control Panel). <            Causes all characters to be converted to lowercase. >            Causes all characters to be converted to uppercase.
! Causes the input mask to display from right to left, rather than from left to right. Characters typed into the mask always fill it from left to right. You can include the exclamation point anywhere in the input mask. \            Causes the character that follows to be displayed as the literal character (for example, \A is displayed as just A). Password     Displays * in all keyed character positions. You can use the above characters in a mixed form to get the output the way you want. For example, the Input mask >C<CCCCCCCCCCCCCC;0;_ will change the first character into Upper Case and the rest of the Text into small letters and accepts up to 15 characters or less in the field. I need to know what vaule to enter for a name like McDonald. An autocap with the additional option to use Caps if needed but otherwise text remains in lowercase. Is this possible? Input Masks cannot be conditional but with manual intervention (like button clicks or checkbox clicks etc.) it is possible with VBA. For McDonald like names set the Input Mask to ">L<L>L<????????????" For first letter cap and remaining characters in lower case: ">C<??????????????" For all upper case letters you can remove the < symbol. The Input Mask string will be set to the txtDisplay Text Box depending on which command button you clicked before entering values into it. Even after entering value if you click the command button you can see the text changes.